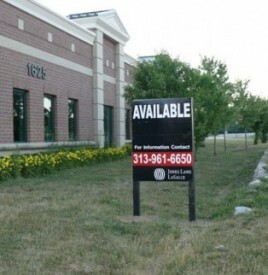 From WND.com, by Bob Unruh, June 22, 2012 –Planned Parenthood officials in Michigan apparently have given up on plans to open an abortion business at an Auburn Hills building they bought for some $700,000 several years ago and have offered the structure either for sale or rent. That’s according to the Citizens for a Pro-Life Society, which had battled the abortion industry giant’s plans to open the business in their neighborhood. “This was the specific task we had before us, and we prevailed! That Planned Parenthood, one of the largest abortion providers in Michigan, would agree not to perform abortions in this 17,000-square-foot building is a huge victory for the right-to-life cause,” said Monica Migliorino Miller, director of CPLS. The fight focused on a deed restriction that controlled activities on the property and allowed owners of a neighboring motel to veto the plan. It was in April 2010 when the Planned Parenthood organization said it would open a “full-service” abortion business in Oakland County. Then in November, CPLS discovered Planned Parenthood had purchased an Opdyke Road property. However, an investigation revealed that a deed restriction was held by the owners of the next-door Comfort Inn Suites over development at the still-unfinished building Planned Parenthood had purchased. “The letter never disclosed that it was indeed Planned Parenthood who intended to purchase the building or that their so-called medical office would in actuality be an abortion clinic,” the life advocacy organization reported. A lawsuit was brought by Planned Parenthood and while a judge ruled that an “office,” which was allowed, could be a “medical office,” unresolved was whether “medical office” would cover the building’s use for abortions. Even the definition of “medical office” was put on appeal. The resolution of the case included a new deed restriction banning abortion and Planned Parenthood’s decision to offer the property as available followed. “Not only are surgical abortions prohibited on the property, but we believe that this prohibits all chemical abortions as well – such as RU-486,” said Miller. On her blog, pro-life activist Jill Stanek reported Planned Parenthood’s position was that it had opened another abortion business, so it didn’t need the Opdyke Road property now. “Planned Parenthood is now out the $733,151 it paid for the building, the $200,000 grant it lost and at least $100,000 in legal fees, as speculated by pro-life real estate agent Dave Theisen of Real Estate for Life,” Stanek wrote. “It was Theisen who originally discovered the deed restriction. “Congratulations to Michigan pro-lifers for their hard work, which paid off in a major victory against Planned Parenthood and the saving of many lives,” she wrote. Joining the fight against the Planned Parenthood plan was Central Oakland County Right to Life and several other groups, whose leaders organized pickets and demonstrations. Also, some 11,000 petition signatures were gathered on a statement in opposition to the plan.